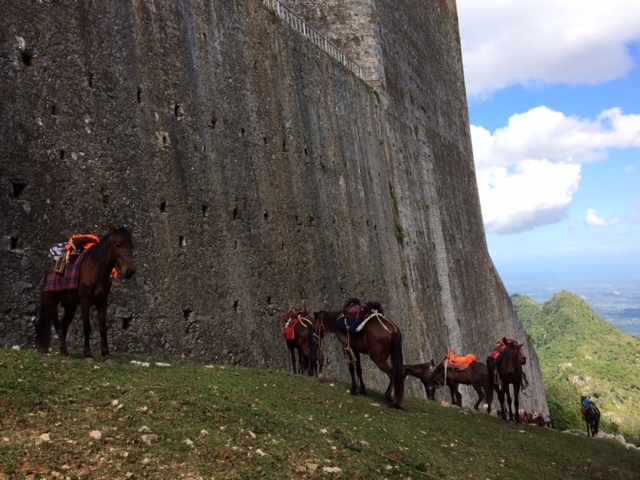 For their final full day in Haiti, the Haven CRC team explore the beauty of Haiti sharing the lows and highs from their experiences. 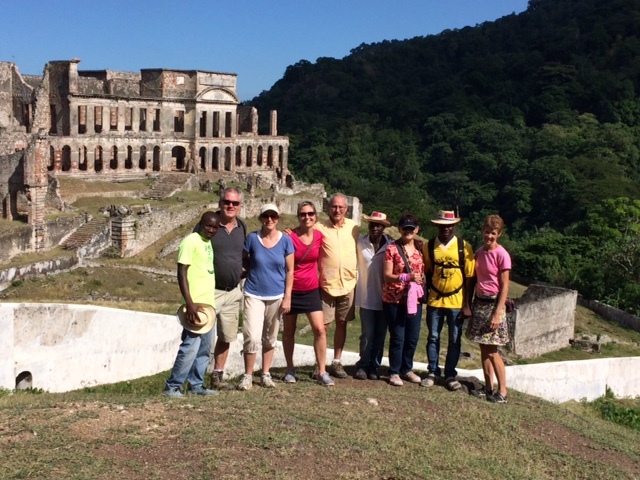 Yesterday, Tuesday we traveled to Cap Haitien to see the Citadel. It was a 2 ½ hour drive to travel approximately 28 miles. The country is beautiful! With the main road closed to get to the Citadel was had to rent motorcycle taxis to get there. The ride was so fun! We had our “Three Amigos” with us on the motorcycles to keep us safe. 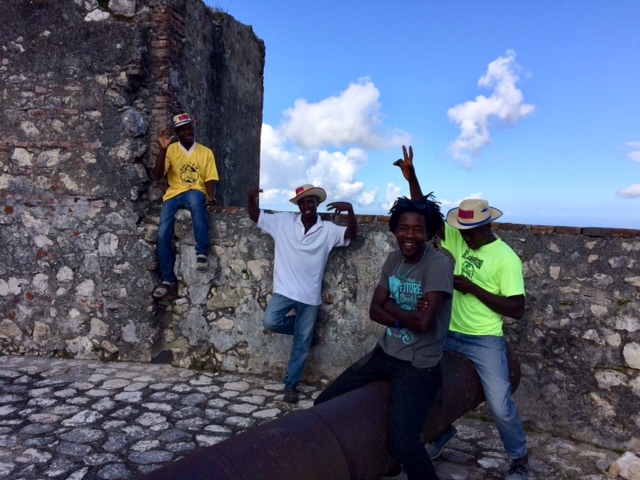 MH4H needed some items picked up in Cap Haitien, so after our tour of the Citadel we took a ride into town. There was our thorns and our roses. The thorns in the town was all the trash and smashed plastic bottles. Literally hundreds of thousands of them. They were everywhere! In the bay, on the beach, in the river, in the marketplace. It seemed to be everywhere. Such a waste of a beautiful harbor area. Now, the rose! We had our “Three Amigos” with us. They were a huge help! Whiled stopped for one of our errands Francois was telling our guide that we were all their friends. We had been there the day before when they had all accepted Christ. So now we are all now friends forever! Praise be to God!! Today our group was able to deliver PET carts. What a humbling experience. One of the men had recently had a stroke and was unable to receive the cart because he was still bedridden. We were able to bless the family with food and prayer as well. One of the carts went to a man that is a witch doctor. This gave us a wonderful opportunity to share the Good News of Jesus Christ. We challenged hi to read the books of John and Romans as well as the rest of the Bible and pray for God’s revelation while reading His Word. That God is a jealous God and wants only His worship. We said we would be back next year to follow up with him and his spiritual walk, but he asked for more immediate follow up. MH4H staff committed to do so. There is hope! We almost finished the much needed shelving on the new Maliarette campus. The finishing touches with be complete Thursday morning before we leave Haiti. Our hearts are full of thanks and gratitude for the leadership, direction, and hospitality of MH4H staff. We have seen them as they run a first class organization and being the hands and feet of Jesus. Thanks Christi and Craig for how you model Jesus Christ each and every day!